There are no two ways about it, a sewer pipe leak can get pretty nasty. When you first notice sewage back up or are aware of leakage in and around your home, it’s a priority to get things fixed fast. 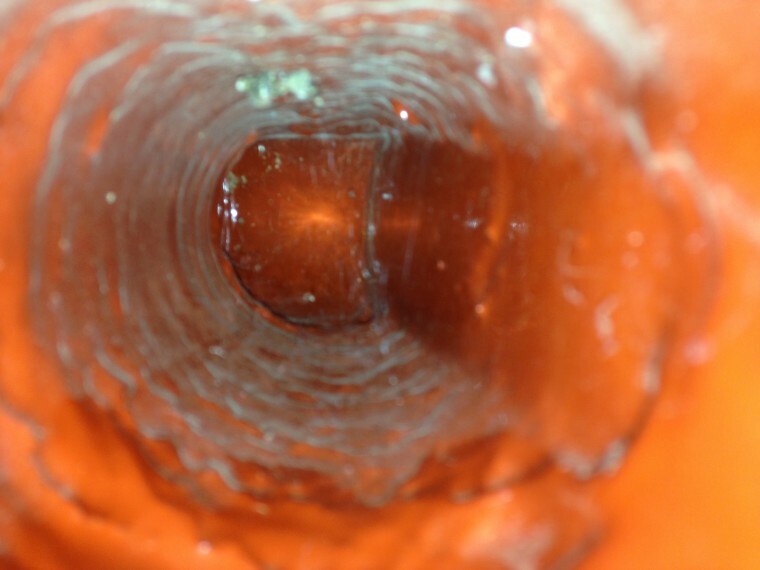 Sewer lines are damaged for a number of reasons. Pipe materials can corrode over time. There could have been physical damages resulting from a repaving of a sidewalk or driveway. Trees and other vegetation can cause damage to sewer pipes from root overgrowth that infiltrates and wraps around pipes. 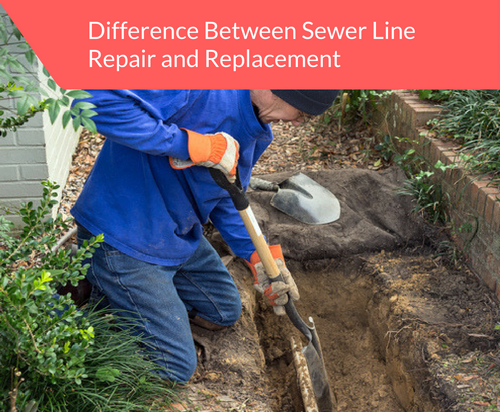 Sewer line repair is recommended when there are cracks or holes in your sewer line. If damage is severe, replacement of the line is recommended. 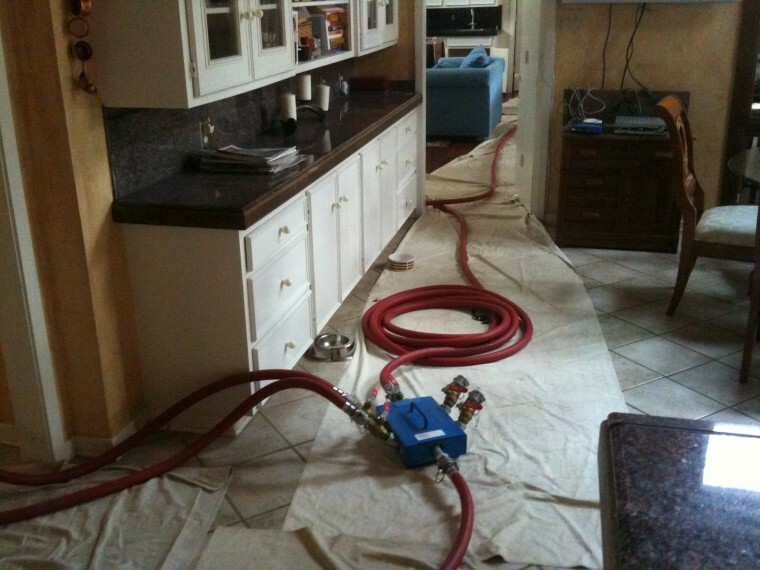 A pipe leak test must be performed, then there are two ways to proceed. The first is with trenchless repair. The second is with a traditional approach. There is a cost differential. Trenchless repair will generally be about half the cost of traditional work. This is why it’s important to have an expert plumbing service on hand to determine which solution is best. It makes sense to hire the right kind of contractor to determine all the damage. Sewer pipes can be notoriously difficult to trace, especially on older properties, so you’ll want to hire someone who will trace the problem at its root cause. This is where Accurate Leak and Line comes in. We at Accurate Leak and Line are equipped to diagnose and repair or replace your sewer lines on both residential and commercial properties. 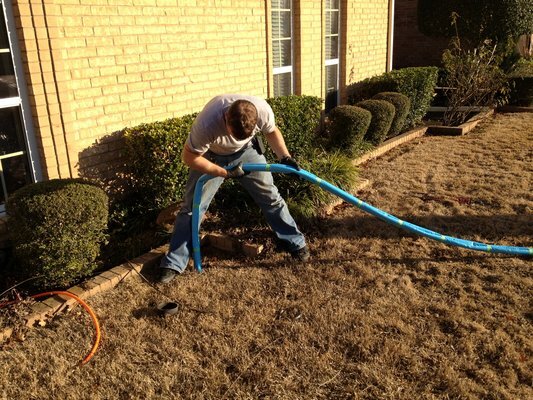 The advantage of working with us lies in our state-of-the-art technology for trenchless plumbing. We begin by running a pipe leak test by examining the pipe with video cameras and hydrostatic pressure tests. After the cause of the sewer pipe leak is determined, we will present our results and recommend a course of action. Our trenchless plumbing uses Nu Flo technology. This eco-friendly technology is done without digging on your property. It works by first removing any buildup or root damage with a pneumatic device. 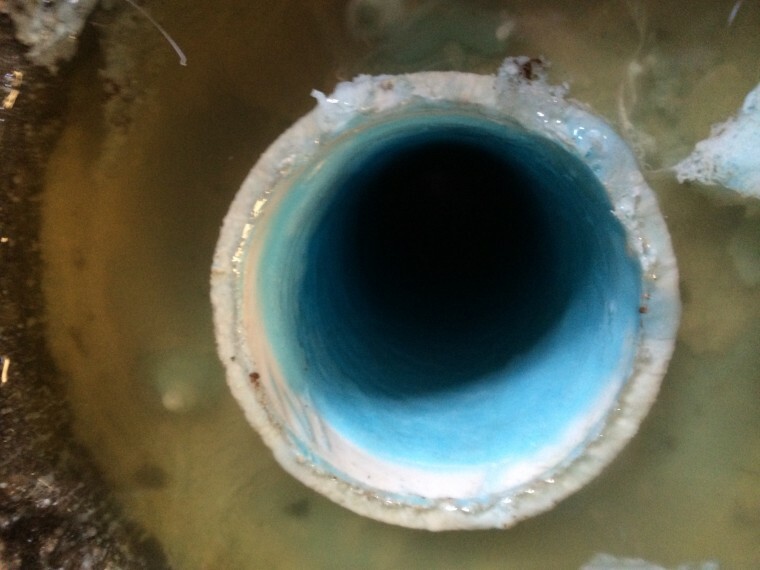 We then create an epoxy resin then and there and insert it into the sewer pipe guided by video camera. A bladder is used to insert the epoxy compound and is then deflated and removed leaving the resin to adhere to the interior of the pipe and fill in leaks. Think of the process as similar to having a stent put in during an operation. This epoxy resin was developed by the United States Navy and is guaranteed to last up to ten years. This trenchless method for sewer line repairs works with PVC, cast-iron and clay pipes. Another plus for using this method to repair leaks is that the work can be accomplished quickly, often within one or two days. Sometimes a sewer pipe needs replacement. If your sewer pipe has extensive damage that requires replacement, rest assured that Accurate Leak and Line provides traditional main pipe replacement. As with our trenchless services, we will first conduct pipe leak tests using video and hydraulic pressure tests. Static pipe tests will be done as part of a thorough examination of the damage. Before we begin any work, Accurate Leak and Line will prepare a schematic diagram that will map out the damage and the work needed to replace the pipe and provide an estimate of the cost of the replacement. Though replacement of sewer lines can involve extensive excavations in and around your property, please be assured that Accurate Leak and Line will conduct all work in a safe and sanitary manner. All of our technicians have been certified by the Occupational Safety and Health Administration (OSHA) to conduct work in a manner that is conscious of maintaining the safety of the environment. They are also trained to work in confined spaces to minimize damage to the surroundings of your home or business. When work is completed, we haul away extraneous debris. In addition, we make certain that all of the soil surrounding your repair is left properly compacted with tamping hammers. Accurate Leak and Line’s traditional sewer line replacement comes with a one to ten-year warranty after work is done and has passed inspection. We’ve been providing professional and state-of-the-art plumbing services since 2002. Our exceptional service is a matter of record with the Better Business Bureau, the Texas State Board of Plumbing Examiners and the Association of Plumbing, Cooling and Heating Contractors of Texas. We service residential and commercial clients in major cities in Texas. To schedule an appointment and arrange for an estimate, call us at 512-219-5325 for Austin and San Antonio, 817-287-9826 for Forth Worth and Mid-Cities and at 214-340-5325 for Dallas.